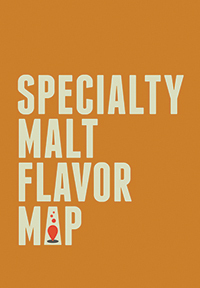 The Base Malt Flavor Map was developed to serve as a tool to bridge gaps in communication throughout the supply and production chain, from breeders to brewers…and particularly maltsters, who can use the map to communicate malt’s myriad flavors to their brewing customers, who are constantly seeking to develop novel new beers. 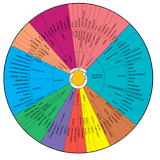 With its attractively organized lexicon and user-friendly categorization of standardized descriptive terms, this tool can be used to set the baseline for any quality assurance system by giving users a repeatable way to prepare and describe malt. 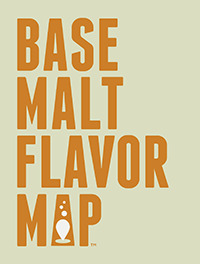 In addition, the Base Malt Flavor Map includes ASBC’s Hot Steep Method (a $100 value), which provides a quick and convenient way for users to reference the steps one should take when preparing wort for sensory analysis, allowing for even greater accuracy. This new, aesthetically pleasing, and user-friendly map is supported by chemistry, easy to use, and will be a key tool throughout the brewing industry. It is a must for every brewing professional!